DroidDosh.com - Download the official firmware/stock ROM for Acer Liquid Z330. This firmware has Build number Acer_AV0L0.T01.1.023.00.WW.GEN1. The operating system of this firmware is Android 5.1.1 (Lollipop). 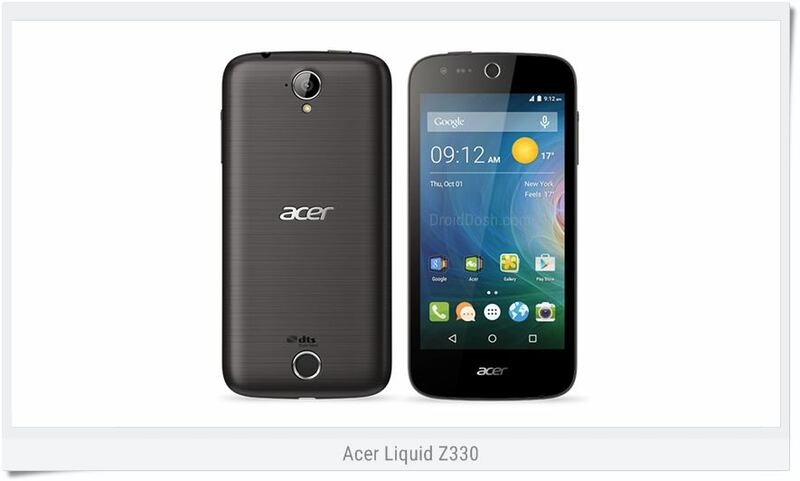 Repair solutions for Acer Liquid Z330 Duo if bootloop or can not boot to home screen, etc. Take a backup of your personal data before flashing or installing the firmware on your smartphone. As this helps you to recover the personal data whenever any thing wrong happens.